Argentina is a huge South American country with no shortage of adventurous travel opportunities. From glacier excursions, to scenic hikes, to breathtaking natural wonders — the things to do and places to visit in Argentina span far and wide. 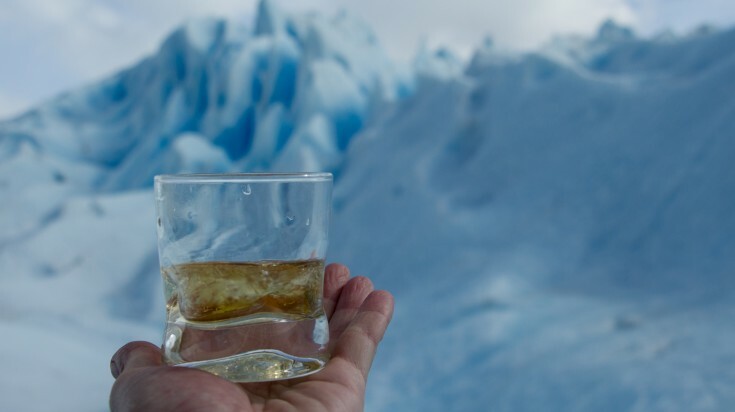 Whether you’re looking for hard-core Arctic expeditions or laid-back northern wineries, we’ve got you covered with 10 awesome things to do in Argentina. 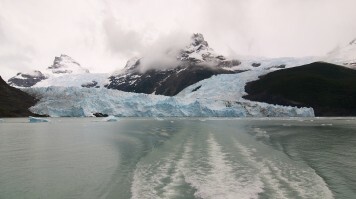 Argentina's location in the Patagonia region of South America means this country has no shortage of glaciers to explore. In fact, it's one of the main reasons people come to Argentina in the first place. This country boasts some of the largest glaciers on the continent, many of them lying in the UNESCO World Heritage Site of Glacier National Park. 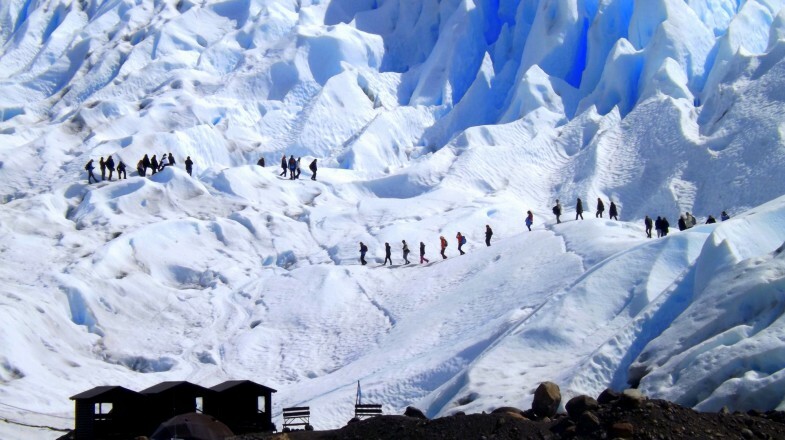 Identifying the best ones to visit is tough when you've got over 300 glaciers to choose from. 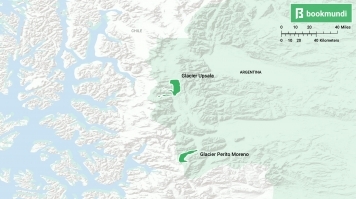 Glacier Upsala, the largest in South America, is naturally a must-see for its sheer size of 870 square kilometers. It's not the most accessible glacier, but the journey to get there makes it all the more special. Perito Moreno is another big one and a definite thing to do in Argentina. This glacier is unique in that it continues to grow as opposed to retreat as many other glaciers in the region. It's towering 80-meter-tall ice cliffs are best appreciated via boat tour. The jumping off point to both these glaciers is the small town of El Calafate offering plenty of Perito Moreno glacier tours to join. Best season: You can visit the glaciers any time of year. High season (summer) is from December – March and has the warmest temperatures, but also the most tourists. The shoulder seasons of spring and fall are becoming increasingly popular due to mild day temperatures and fewer visitors. This is one of Argentina's must-see places. You'll never experience a more breathtaking border-cross in your life. 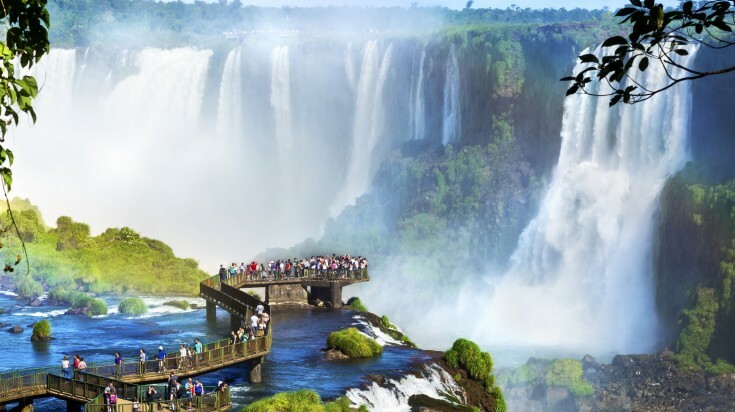 Iguazu Falls forms a natural border between Argentina and Brazil, creating one of South America's coolest attractions. The Iguazu Falls is not your average waterfall — it's a compilation of 275 different cascades that spans nearly 3 kilometers in length. Devil's Throat, the main attraction standing at a staggering 80 meters, is beaten in height only by Victoria Falls in Africa. Iguazu Falls has been a UNESCO World Heritage Site since 1984 and was recently voted one of the New Seven Wonders of Nature. Do you need any more convincing? Viewing the falls up close is the top priority. This can be done via self-guided hiking on the trails around the falls and is one of the most highly recommended things to do in Argentina. Gain a different perspective by taking a boat tour around Devil's Throat — just be prepared to get wet. Best season: The volume of the falls is at its peak during the rainy months (December and January). However, this makes the hiking, boat tours, and other activities less enjoyable and accessible due to bad weather. It's recommended to go during the drier months of March – April and August – September to fully enjoy all the extras. 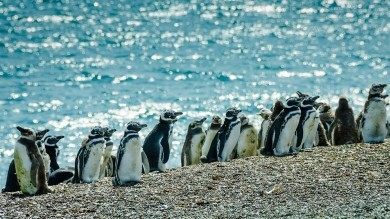 The southern part of Argentina draws hundreds of thousands of penguins every year who come to nest and feast on the plentiful fish supply before they prepare for migration. The tuxedo-wearing birds are adorable and they're also surprisingly comfortable around humans, which has made walking with the penguins an uber-popular thing to do in Argentina. Really, who could resist walking next to a waddling penguin? Punta Tombo, mid-way down Argentina's east coast, has the largest colony of Magellan Penguins, making it a great place for interaction. The 3km long trail leads travelers right past the penguin's burrows with close views of the birds lounging on the rocks and beaches. 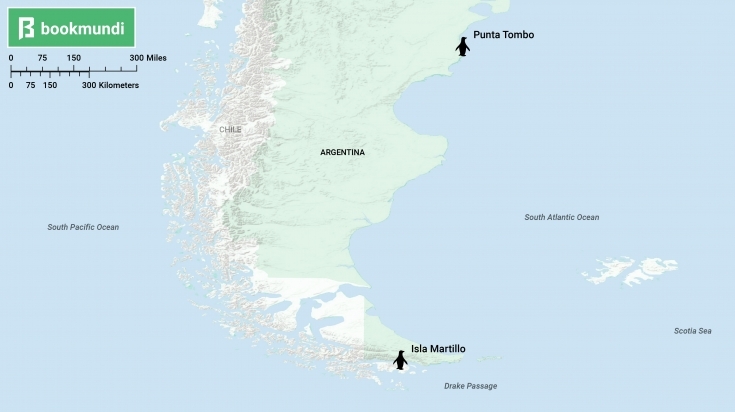 Isla Martillo is another prime penguin viewing spot, located at the very southern tip of the country. 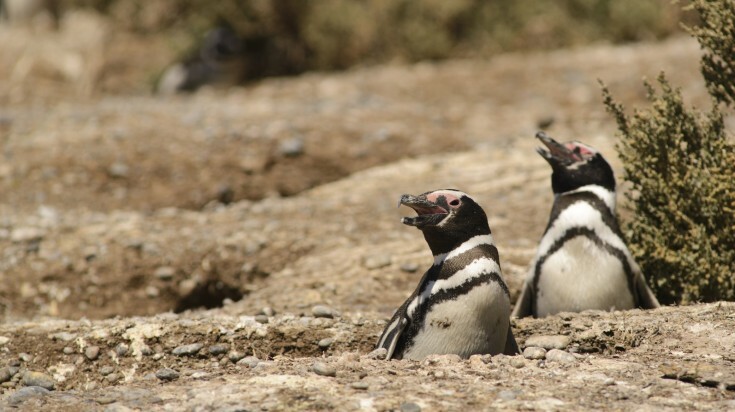 This island houses over 1,000 nests of Magellan and Gentoo Penguins. Best season: Late spring, summer, and early fall months of September – April. The mountain village of El Chalten charms with its small-town authenticity and wows with its world-class hiking trails. 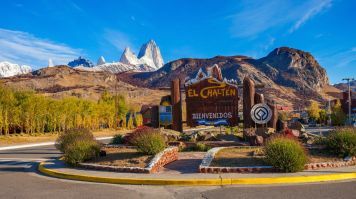 Sitting at the base of Mount Fitz Roy and Cerro Torre on the border of Chile and Argentina, El Chalten beckons to adventurous travelers wanting to discover the Patagonian Andes. Visiting El Chalten, nicknamed the 'Trekking Capital of Argentina' is definitely a top thing to do in Argentina. 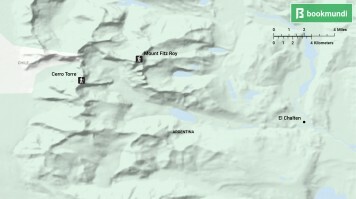 Mount Fitz Roy reaches over 3,300 meters, making successful summit climbs few and far between. Not to worry — there are many other scenic trails around the mountain. The most popular is Laguna de Los Tres trail (20km round-trip) that leads through stunning valleys and forests, past glaciers, lagoons, and glacier lakes and yields spectacular views of the peak. A few hundred meters shorter than Fitz Roy, Cerro Torre is another mountain located in the Patagonian Ice Field. 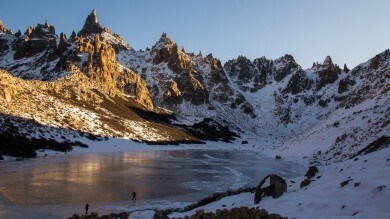 The 22km Laguna Torre trek is of low difficulty and leads to an optimal viewing point of the peak with the Torre Lagoon in the foreground. Best season: Summer (December – March) has the mildest temperatures and most preferable weather. However, it's crowded. We suggest the months of March – April (end of summer/early fall) and November (end of spring) for a more intimate experience with tolerable temperature. Argentinian wine is at the top of its game. Thousands of miles away from the glaciers in the south, Argentina’s wine regions are mainly grouped in the north of the country. As the 5th largest wine producer in the world, Argentina proudly produces top-quality bottles with distinct flavors and sought-after aromas. Hence, wine tasting cannot be missed when in Argentina. Mendoza is the heart and soul of wine country. 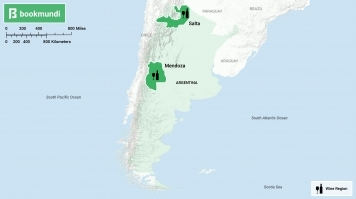 This region houses more than half of the country's wineries and is responsible for roughly two thirds of all wine production in Argentina. 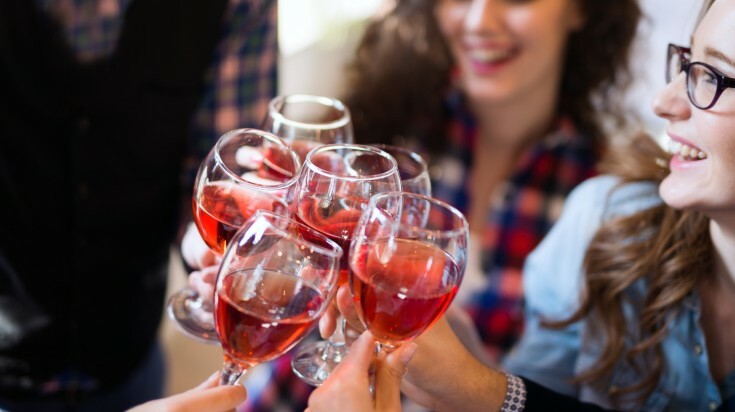 One of the country's best wines, Malbec, is a must-try variety in the region. Salta province is famous for having some of the oldest and most unique vineyards. At 1,700 feet, the Cafayate region produces fruity cabernet sauvignons and full-flavored whites cultivated from some of the highest vineyards in the world! Best season: Mendoza should be visited from November – February for the warmest temperatures. Salta is different; April – June and August – November are best. 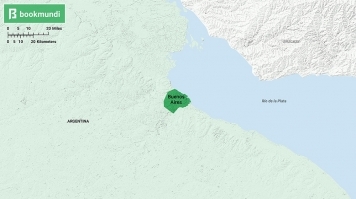 Salta & Jujuy are neighboring towns that are like yin and yang. Scenic Salta is known for its gorgeous Andean landscape. Jujuy receives lesser attention, but is a definite not miss. These provinces hold some of South America’s most awesome natural wonders. 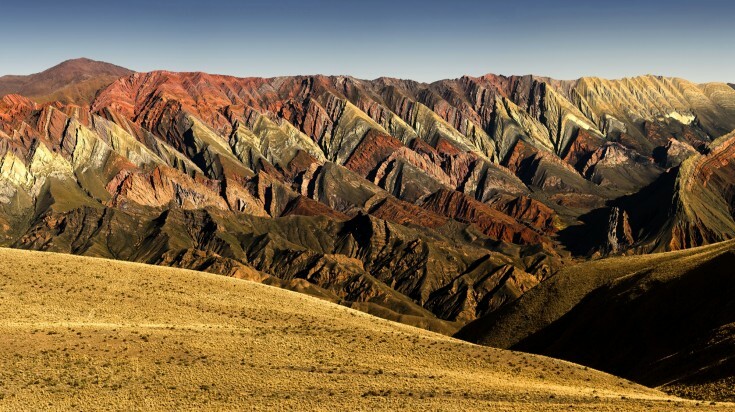 The rocks in this region are full of different minerals, creating a sort of rainbow-color effect that’s simply mesmerizing. A trip up north is worth it for Salta and Jujuy alone. Serrania de Hornocal in the Quebrada de Humahuaca of Jujuy is a geological wonder that will leave you breathless. The carefully carved V-shapes of the limestone mountains are impressive, but its most spectacular aspect is definitely the rainbow of colors that have seemingly been painted in large stripes across the formation. 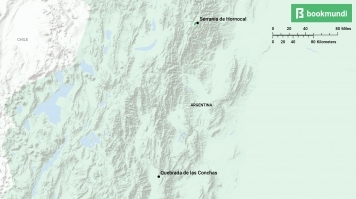 Quebrada de las Conchas or Shell's Ravine/Gorge, is in the south of Salta province. This 40km area of multi-colored rocks has taken on a unique form after being whipped into different shapes by the wind and rain. One look and you'll think you've landed on Mars! Best season: Spring and early summer months of October – December for pleasant temperatures that haven’t yet reached their summer-high peak. It’s also a drier time in the region which is best for outdoor tours and activities. Insider's tip: When in Salta you should definitely try some delicious food & wine from the region. Famous dishes that are a must try are locro, tamales salteños, humita. Also try the empanadas salteñas; although empanadas are eaten everywhere in Argentina, each region has its own recipe. In Salta the empanadas are made with minced meat, dried salted meat called charqui, potatoes, hard boiled egg and chives. The capital of Argentina is nothing short of magnificent. The city’s 19th century decorative architectural style reminiscent of western Europe blends strangely albeit perfectly with the spicy, South American culture, creating a vibrant metropolis with no shortage of things to experience. Boasting the world’s widest avenue, the highest number of bookstores per capita in the world, and arguably the best steak you’ve ever tasted, Buenos Aires covers the desires of city-lovers, foodies, and everyone in between. This is a city that never sleeps and one in which you will never be bored. 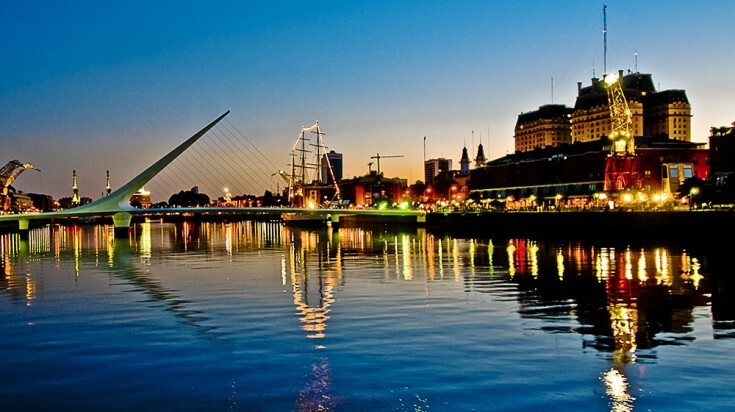 Buenos Aires is the birthplace of the lively and energetic jig which has been declared the country's national dance. Leaving Argentina without seeing or trying the national dance, the Tango, is a crime! Experience the dance with a dinner-and-a-show combo or sign up to take classes at one of the multiple venues throughout the city. Far away from the city hustle and bustle, Buenos Aires tropical oasis retreat, Tigre, beckons to locals and tourists who require a break from the city's intensity. Located on the Parana Delta, the town of Tigre was created by hundreds of streams and rivers. It's famous for its boho scene, artisan market, and riverside activities like boat tours and kayaking. Best season: October – November is spring and offers warm temperatures,gorgeous blooming jacaranda trees and cheaper, shoulder-season prices! Known for its picturesque setting surrounded by lakes and nestled in the foothills of the Andes Mountains, Bariloche is a must visit place in Argentina. European architecture, local brews, and chocolate are some of the town's special aspects. 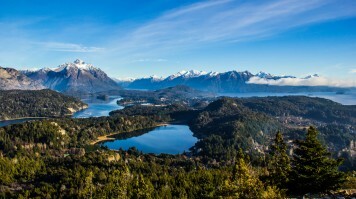 But, above all, Bariloche is renowned for its laid-back albeit stunningly scenic hikes. It's hard to choose just one, so plan to stay for a while to experience them all. Refugio Frey is an 8-hour round trip trek to the lodge of the same name, however a reservation is needed if you want to shack up the night. The hike is pretty easy in terms of terrain, can be completed in one day, and yields vistas of rock torrents and sparkling lakes. Cerro Campanario is another easy hike that offers rewards far greater than the effort exerted. After just 30 - 45 minutes of hiking you'll be treated to panoramas of lakes, peninsulas, and the distant Andes Mountains. You can also scoot to the top in 7 minutes via chairlift if you're short on time and/or energy! Cerro Llao Llao is also another trail in Bariloche. It takes just half a day, requires little effort, boasts super views and even includes a dip in a glacier lake if you're so inclined! 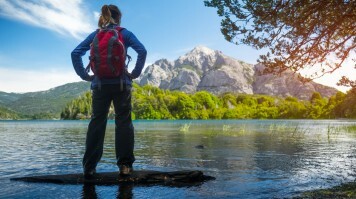 Best season: Summer (December - March) for warm, sunny, ideal hiking weather. 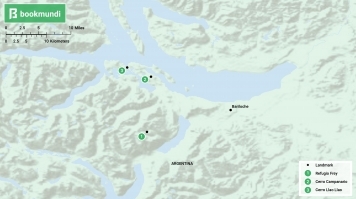 The Beagle Channel offers waterway access to Ushuaia, the southernmost city in the world. Ushuaia is a tourist attraction in its own right and a known jumping off point for all thing Antarctica. 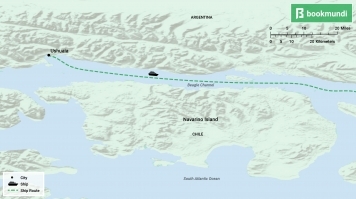 However, a boat cruise through the Beagle Channel — the famous body of water separating the mainland of Tierra del Fuego in Argentina and the Navaro Islands in Chile — should not be passed up. Tours through the channel range from four hours to four or five days. Tourists can see historic lighthouses, colonies of sea lions, penguins, and seabirds, visit the End of the World Museum, all while being surrounded by the pristine scenery of the Olivia and Cinco Hermanos Mountains. Best season: Summer season (December – March) for the warmest temperatures and most pleasant all-round weather. If your idea of Antarctica is a barren tundra, think again. The world's seventh continent is a stunning landscape full of glaciers, icebergs, mountains, and sprawling bodies of water. If you think it's too cold for life on Antarctica, you'd be wrong again. It's home to an abundant amount of wildlife including penguins, seals, whales, and a variety of seabirds. And finally, contrary to popular belief, there's a whole lot of sunshine (if you visit at the right time, of course). 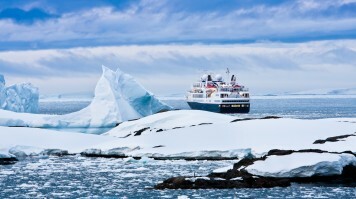 A cruise to the Antarctica is for adventurous and dedicated travelers who truly want to see and experience things that much of the general traveling population doesn't. 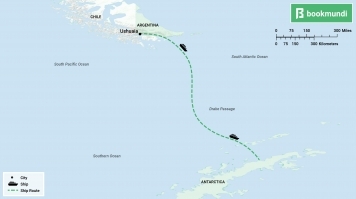 The majority of the cruises depart from Ushuaia and head through the aforementioned Beagle Channel. 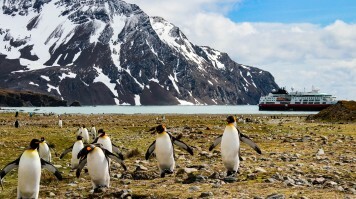 Cruise highlights include crossing the Drake Passage, visiting the South Shetland Islands, glacier gazing in Paradise Bay, and admiring the scenery and wildlife all around the Arctic Peninsula. Best season: Late spring, summer, and early fall (November – April) is best for wildlife viewing, mild temperatures, and the most hours of sunlight. 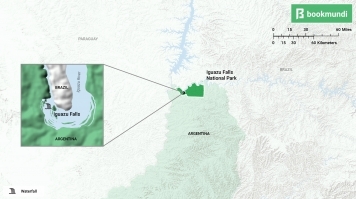 At first, Argentina might seem overwhelming in size and in its abundance of demanding activities. If you've got the energy and passion for all-out travel in a country that's just as much challenging as it is rewarding, then don't hesitate to book a trip to Argentina. The things to do, places to see, and experiences to be had are truly second to none.